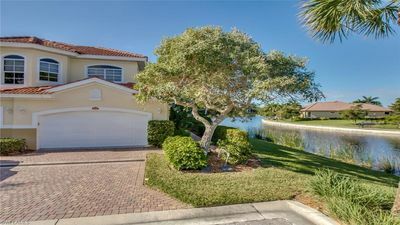 Bonita Bay-Harbor Lakes; Newly Remodeled, Private Beach. 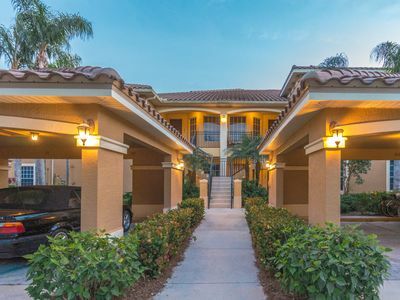 Bonita Bay is a premier gated community located in Southwest Florida covering 2,400 acres. 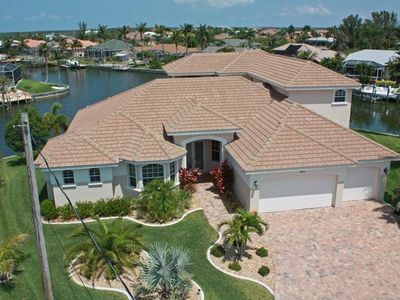 NOTE: OUR HARBOR LAKES ASSOCIATION REQUIRES A MINIMUM of 30 DAYS RENTAL. In addition to this, we'd like a 2 month month minimum during the high season; either January and February (leaving March for us owners) OR March and April (leaving February for us owners). 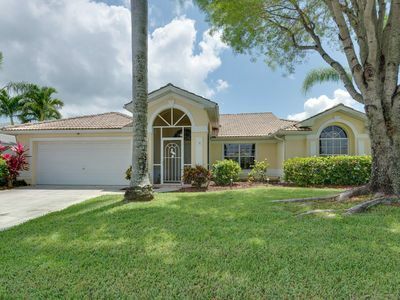 Our spacious, Harbor Lakes villa home has everything that you would need to enjoy a comfortable stay. 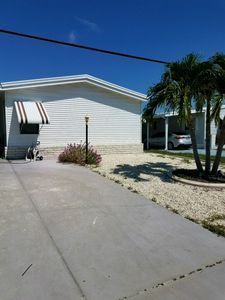 The recently renovated home is on ground level with an open floor plan. It was designed and furnished as our home – not as a typical rental unit. It will provide you with everything you need from silverware and coffee maker to bedding and towels; almost everything is brand new in this unit! The living room is open to the dining area and is very spacious. It has a flat screen TV as does the master bedroom. The dining table has a leaf to make for more seating. The light and bright kitchen is equipped like your home and has all new stainless steel appliances. You’ll have parking and an in-unit washer and dryer. Cable TV and internet/WIFI are provided. 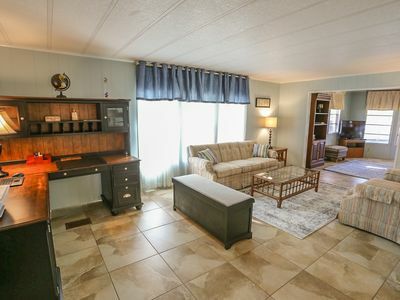 The unit has 2 bedrooms with 2 full baths plus a queen size murphy bed. The master bedroom has a king bed and master bath with dual sinks, soaker tub and separate shower. 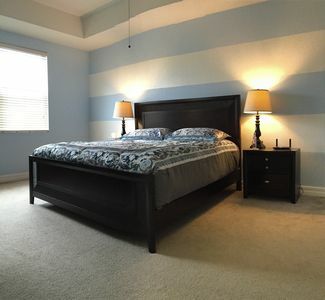 The guest bedroom has two twin beds which can be converted to a king next to a full bathroom with tub and shower. A queen size murphy bed is available in the alcove in the large living room. The master bedroom is separated from the guest bedroom for privacy and has access to the lanai. 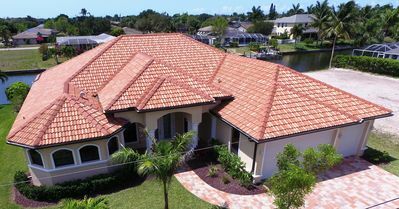 The lanai which spans the full width of the eating/living area looks out over a beautiful lake with abundant wildlife. The gorgeous water view can be seen from almost every room. 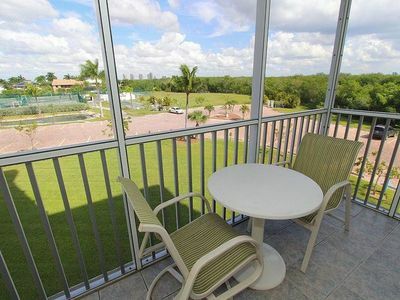 A seating area plus dining for 6 on the lanai provides a wonderful spot for coffee in the morning or dinner at night! Bonita Bay offers many amenities, including a private beach club on the Gulf of Mexico with a complimentary in-season shuttle service. 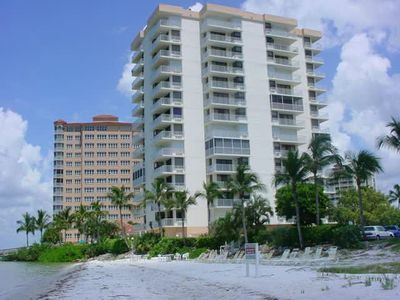 The shuttle pick-up/drop-off to the private beach (Nov 15 to April 30) is within walking distance. There’s no easier way to get to the beach! 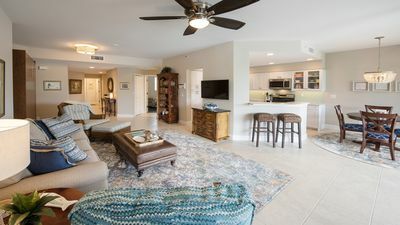 As a Bonita Bay guest you’ll also have access to complimentary canoes/kayaks, fishing piers, three parks, picnic areas, basketball, tennis and bocce ball courts, playgrounds, a butterfly garden, a boardwalk to the back bays, as well as 12 miles of walking and bike trails, (2 “Specialized” comfort bikes are provided w/rental). 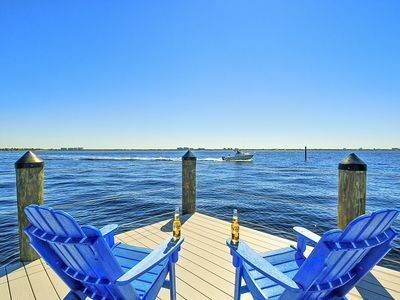 A marina is available with boats for rent/excursions and “Backwater Jack’s” restaurant. 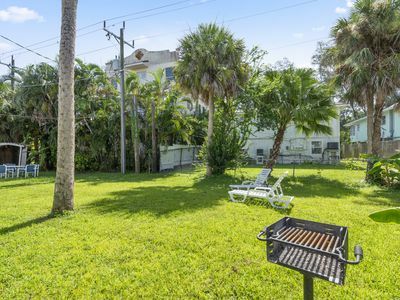 You are close to the beach, Int’l airport, Naples and are within walking distance to shops and restaurants. Our own Harbor Lakes community pool & hot-tub are only steps away from your front door. Just a short 1/2 mile walk to the newly expanded outdoor Promenade Mall will provide some of the best shopping and dining in Bonita Springs. 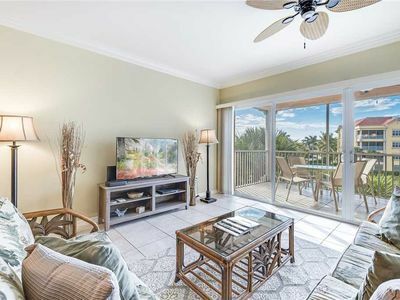 You won’t even have to leave Bonita Bay! We hope you enjoy your stay and love the carefree lifestyle! 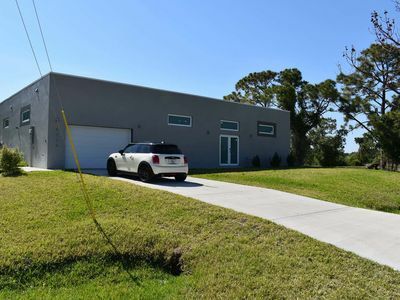 Villa Blue Dolphin: Modern vacation home on Gulf access canal - NEW VIDEO TOUR! 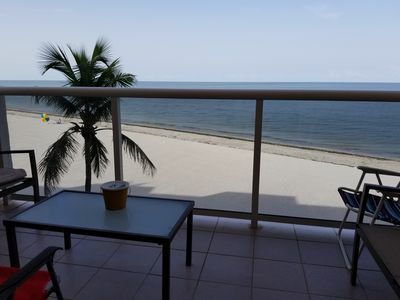 Beach Front View/access. Updated finishes and open floor plan. 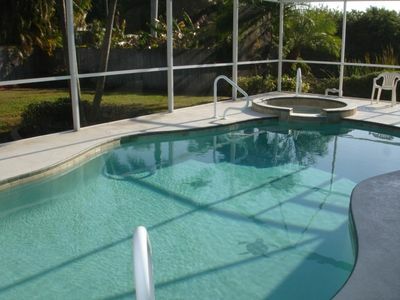 Relaxing Modern Home with Heated Pool !!! 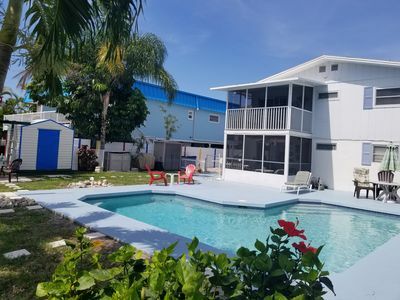 Amazing GULF ACCESS 2-bedroom w/ Heated pool and Boat Slip! 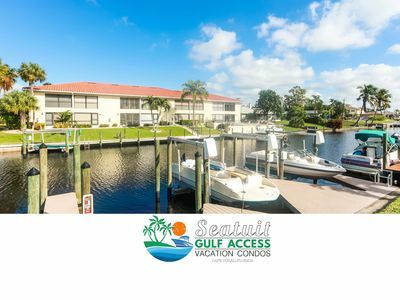 Welcome to 17700 Bryan Court, the perfect waterfront yet practical address on the mainland just a couple of miles from Estero Island and the Gulf of Mexico.